Turbonetics Exhaust Manifold - Dezod Motorsports Inc - Home of the automotive performance enthusiast since 2002. 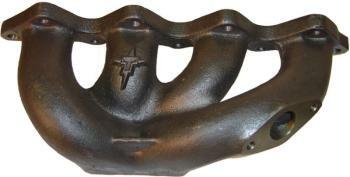 Turbonetics is proud to offer Turbo/Exhaust Manifolds for many popular applications. Assemble your own turbo kit or replace your existing manifold, all Turboneitc manifolds are flanged for Turbonetics Turbochargers and Wastegates (where applicable) but will also fit other popular flange styles as well.